Teased late last year during the Capcom Cup Finals, Charlie Nash is the third fighter to take the the ramen-strewn stage in Street Fighter V. He's looking pretty good for a dead guy. I mean yeah, a large portion of his face is missing, but that's the sort of thing that happens when you bite it at the end of Street Fighter Alpha II. 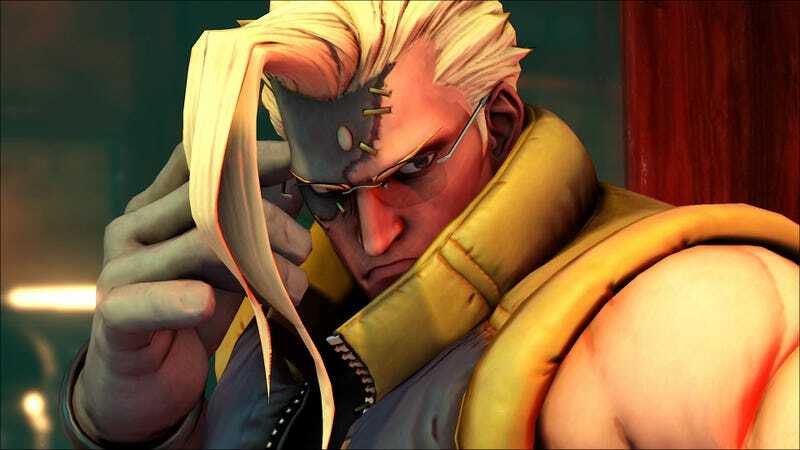 I sure hope Capcom isn't bringing Guile's bestie back as a bad guy. That would be sad. You know what's not sad? Capcom is readying a massive Street Fighter V beta program for PC and PS4. That sounds great. Man, it's nice to have Charlie back.